Everyone in the sewing business knows that Janome sewing machines are synonymous with high quality, durability, and user-friendliness. In fact, almost every sewer I know has owned a Janome product at some point. 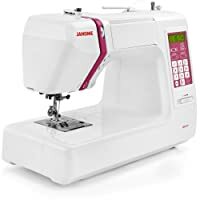 Due to the popularity of the Janome brand as a whole, it can be difficult to choose the best Janome sewing machine for you. If you are in this predicament, you have come to the right place. 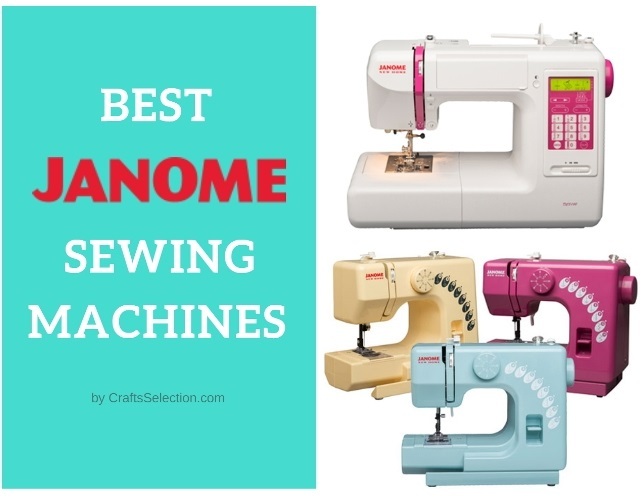 Below are top 5 Janome sewing machines for beginners and home sewers. Compact, very lightweight only 5 lbs. You’re probably wondering how we chose all these amazing machines. We picked machines that are highly affordable and easy to use. They are especially recommended for home users and intermediate sewers such as sewing hobbyists and young enthusiasts. This affordable sewing machine comes with an exclusive bonus bundle. This bonus bundle includes a pack of 10 Janome bobbins and size 14 needles. Its key features include 12 built-in stitches and an easy to use four-step buttonhole. Weighing in at only 15 pounds, this Janome sewing machine is lightweight and therefore easily portable. Its retractable handle enhances this portability. This machine’s zigzag stitch width adjustment and stitch length adjustment make it especially easy to use. This ease of use is also facilitated by its large dials and its uncomplicated threading system. It’s important to note that this machine also comes with a built-in thread cutter making it convenient to use. 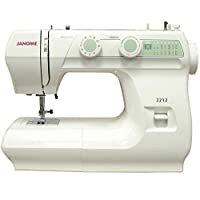 This Janome 2212 mechanical sewing machine so features a reverse lever that simplifies locking of stitches. This machine’s simplicity and ease of use make it the best sewing machine for beginners. However, it also comes with some drawbacks. The major one is that it’s not a heavy duty machine. It is not able to sew heavy fabrics such as denim and leather. The Janome 2212 is extremely easy to use and affordable. 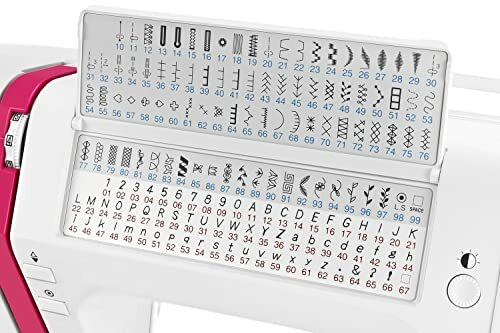 If you are just beginning your sewing journey, this is definitely the kind of machine you need. Feel free to try it out! 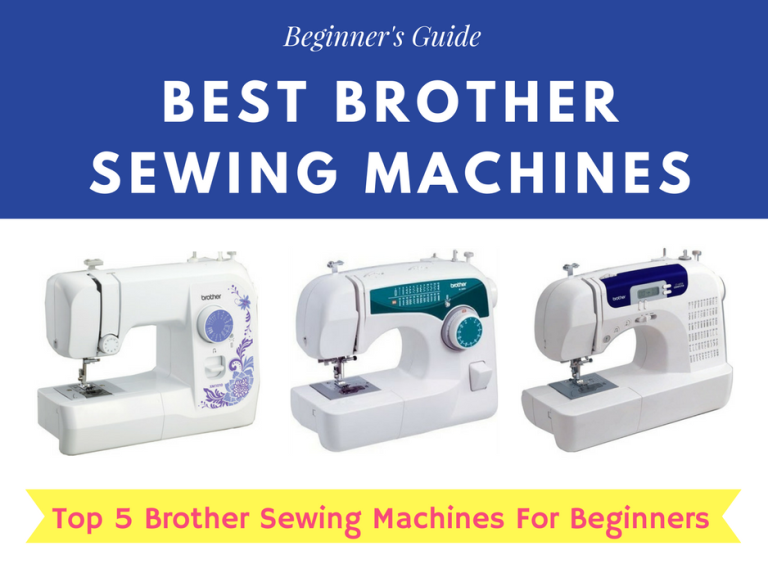 Click here for more beginner sewing machine reviews. 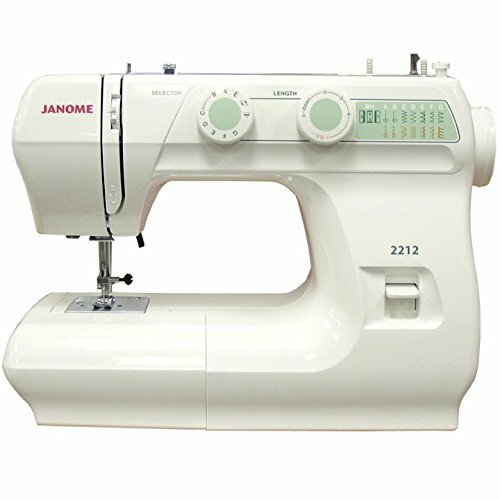 If you’re looking for a heavy duty machine, I recommend the Janome HD3000 Heavy-Duty Sewing Machine. It comes with 18 built-in stitches and a needle threader. These features make stitching easy and convenient. This Janome heavy duty sewing machine is made almost entirely of metal making it durable and steady. Its steadiness ensures the production of straight high-quality stitches. This steadiness also allows it to sew tough fabrics like denim and canvas. The Janome HD3000 is without a doubt the best sewing machine for denim. Additionally, it has ample storage space in its top compartment and within its retractable arm. Although this machine is manual, it does come with a ton of amazing features like an automatic thread cutter and an auto size buttonholer. The auto-size buttonholer is one of the coolest features of this machine. It automatically adjusts the size of stitches to fit the specific buttons provided. Using this sewing machine also gives you the power to adjust the length and width of stitches manually. The Janome HD3000 is best suited for use in places where there is a huge workload. In spite of all these awesome features, it also faces some challenges. For instance, it does not work well with sudden changes in fabric density. Verdict This machine may not be as pretty or as full of features as its computerized counterparts, but it performs all its functions perfectly. 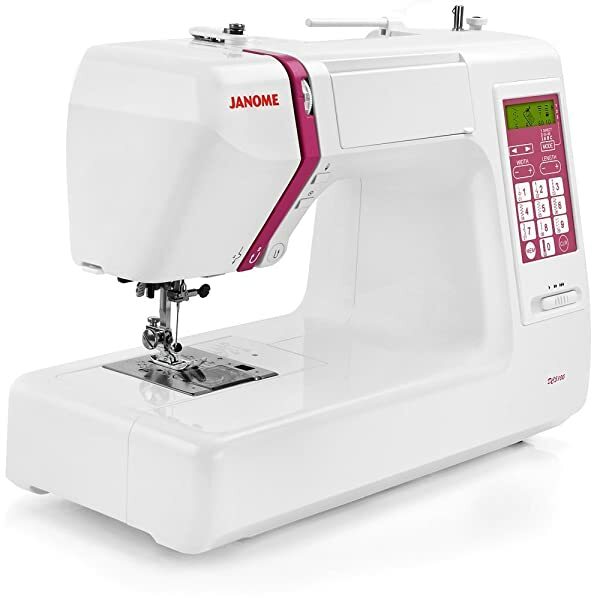 In fact, when compared to other mechanical sewing machines, Janome HD3000 is the best option. 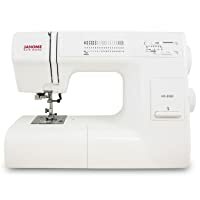 As far as computerized sewing machines go, the Janome DC5100 Computerized Sewing Machine is a force to be reckoned with. Are you looking for the best sewing machine for making clothes? Consider buying this Janome sewing machine. 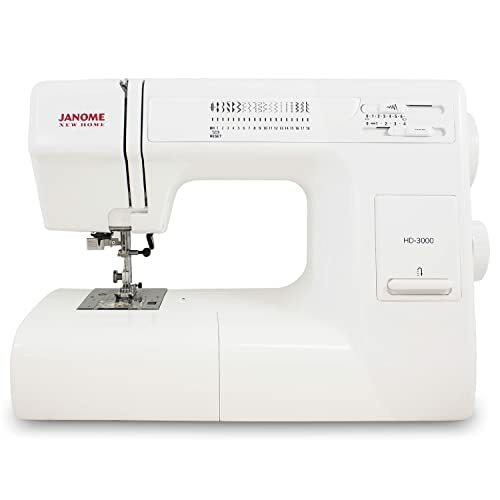 The Janome DC5100 Computerized Sewing Machine comes with 167 built-in stitches, one alphanumeric font and 5 one-step buttonholes which make it a sewer’s dream come true. Its LCD touchscreen and touchpad allow you to select and edit stitches easily. This Janome computerized sewing machine also comes with a speed control slider that lets you adjust the speed as desired. Its built-in bobbin winder winds the bobbins easily and quickly. This will ultimately save you time. With this machine, it is easy to adjust stitch length and width making the stitching process highly efficient. The retractable arm and programmable up/down button of this computerized sewing machine make it particularly convenient to use. However, the icing on the cake is that it can save up to 50 of these stitch settings to use them at a later time. Additionally, its powerful DC motor places it in a league of its own. Needless to say, heavy duty sewing is not a problem for this machine. Unfortunately, every time you shut off the machine all the settings reset. This can be quite annoying. Another drawback of this machine is that it limits you to only one font. This computerized machine has everything you would need in a sewing machine. With its powerful motor and stitch memory, you really can’t go wrong with it. The Hello Kitty product line consists of a wide range of products from small, basic models to more advanced computerized models. All of them have one thing in common: their cute design. 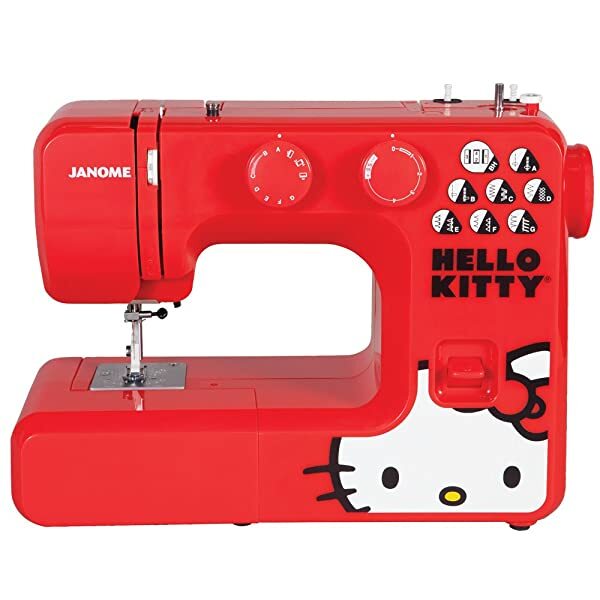 The top-rated model of this product line is the Janome 13512 Hello Kitty Sewing Machine. 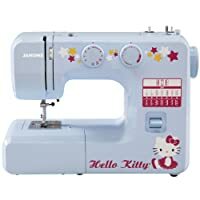 The Janome 13512 Hello Kitty Sewing Machine features 15 stitches and a 4-step buttonhole maker that enable efficient sewing. Its small size and light weight of 10 pounds make it easily portable. It also comes with a carrying case that enhances this portability. This makes it perfect for use in dorm rooms and for carrying to sewing classes. This Janome Hello Kitty sewing machine allows you to adjust stitch length and width easily. Additionally, it has a free usable arm that makes it easy to use. Its cute design and heavy-duty sewing capability are some of the features that make it a good sewing machine for kids. The major drawback of this machine is that it’s not suitable for complicated projects. Professional sewers may find it too basic. This Janome Hello Kitty sewing machine is one of a kind. If you are just starting out in sewing or want to introduce your kid to sewing, this bundle of cuteness is just what you need. 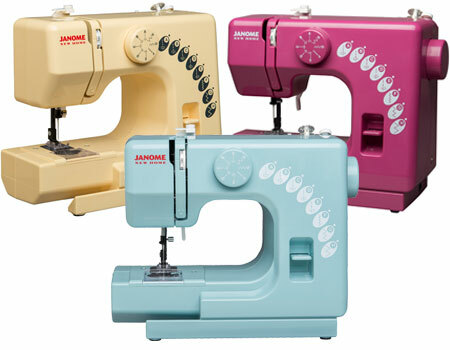 The popular Janome SewMini product line includes basic sewing machines with basic functions. They are perfect for young enthusiasts such as children. Weighing in at only 5 pounds, these small machines are compact, lightweight and portable. Additionally, they come in a variety of exciting colors that children will especially love. The colors available are Beachcomber, Honeycomb, and Merlot. 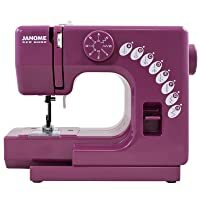 The Janome Merlot Sew Mini Sewing Machine is a small cute sewing machine that offers 4 stitches. These are straight, crescent, zigzag and multiple zigzag stitches. This Janome mini sewing machine offers 3 stitch width adjustments and 5 stitch length adjustments. These features allow for efficient high-quality stitching. Unfortunately, with this machine also comes some drawbacks. First of all, when using this machine threading can prove difficult. Also, this machine does not come with a built-in light. This basic sewing machine is small, cute and user-friendly. If you want to introduce your kid to the vast world of sewing, this Janome machine is just what you need. So you’re looking into getting a Janome sewing machine? We’ve got you covered. Take a look at our comparison table. This chart will help you effectively compare Janome sewing machines. The Janome brand was established in 1935. The word Janome literally means “snake’s eye” in Japanese. This name is derived from the round metal bobbins that this company introduced to the market. Up to this day, these are the bobbins used, doing away with the old-fashioned shuttle bobbins. With a research laboratory in Tokyo, it’s easy to see that the Janome sewing machine company is refreshingly serious about innovation. Janome produces a variety of machines that serve various consumer needs like sewing, quilting, embroidery and overlocking. They have a little something for everyone. These affordable machines give you everything you need in a stylish way. It’s no wonder there are so many positive Janome sewing machine reviews. The many Janome sewing machine reviews speak volumes about this brand’s popularity. In fact, it is one of the leading brands of sewing machines. It’s no wonder there is a large variety to choose from. However, these featured machines are without a doubt the best ones in the market right now. They cater for the needs of kids, beginners and even professional sewers. At the end of the day, it’s up to you to choose the one that suits you best.